By CNN'S NAOME SEIFU AND KEITH ALLEN CONTRIBUTED TO THIS REPORT. (CNN) - Homeland Security Secretary Kirstjen Nielsen announced Thursday that the United States has told Mexico that individuals entering the US illegally or entering without proper documentation and seek asylum will be sent to Mexico to wait for the duration of their US immigration proceedings. 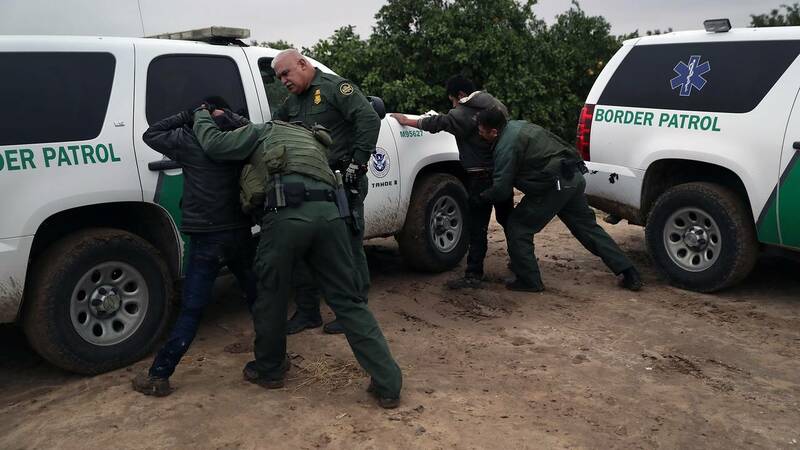 According to the Department of Homeland Security, individuals entering illegally or without proper documentation "trying to enter the US to claim asylum will no longer be released into our country, where they often disappear before a court can determine their claim's merits." They will instead "be processed by DHS and given a 'Notice to Appear' for their immigration court hearing." Asylum seekers from Guatemala, Honduras and El Salvador must wait outside the United States until their immigration proceedings are concluded, according to a Department of Homeland Security official speaking on background during a conference call with reporters Thursday morning. The "Migrant Protection Protocols," as the DHS official called them, go into effect immediately and will be rolled out in phases along the Southwest Border. Asylum seekers from the Northern Triangle countries will be returned to Mexico, given a notice to appear in court, and will be allowed back into the country for the hearing, the Homeland Security official said. Mexico will continue to provide humanitarian aid to individuals waiting out their legal proceedings near the border, according to the DHS official. The DHS official characterized this policy change as a humanitarian measure designed to prioritize claims for individuals who are fleeing prosecution, free up US border personnel, and hopefully weed out fraudulent cases. This policy change does not apply to asylum seekers from Mexico, the DHS official said. Testifying at a contentious hearing before the House Judiciary Committee, Nielsen told Congress they will be sent to Mexico to wait, vowing "'Catch and release' will be replaced with 'catch and return.'" During her testimony, she addressed the announcement, telling the committee that "They will have to wait for approval to come into the United States. If they are granted asylum by a US judge, they will be welcomed into America. If they are not, they will be removed to their home countries." Rep. Luis Gutierrez, an Illinois Democrat retiring at the end of his term next nonth, repeatedly chastised Nielsen during the hearing for "lying," and linked the border wall to Christmas, thanking God that there wasn't a wall in Jesus' way. "Shame on us for wearing our badge of Christianity during Christmas and allowing the secretary to come here and lie," he concluded. Nielsen responded that "calling me a liar are fighting words," and defended herself as Gutierrez walked out of the room. Texas Republican Rep. Louie Gohmert later asked Nielsen if the biblical figures Mary and Joseph would qualify for asylum. Nielsen also told lawmaker that Mexico has told the US "affected migrants will receive humanitarian visas to stay on Mexican soil, they will be given the ability to apply for work, and be given other protections while they await a US legal determination."